Widely accepted as being the first great English electric folk group, Fairport Convention is that and far more. It would be safer to say they are simply one of the greatest English groups of all. They began their career with a repertoire of traditional material, some originals and a veritable jukebox of American new folk, they soon developed their own niche as interpreters of murder ballads, sly tales of yore and deeply thought out, planned and executed concept pieces. Incredibly prolific – they released three albums in 1969 alone – Fairport Convention have lasted the course of over 40 years in some shape or other with numerous personnel changes along the way and a catalogue of music that is as rich as their own history. The band's annual Cropredy Festival in Oxfordshire is always likely to spring a surprise, with past members putting in appearances alongside special guests from the folk world and beyond. Key and core members of the group are household names in their own right: Sandy Denny, Richard Thompson, Simon Nicol, Ian Matthews, Dave Pegg, Dave Mattacks, Ashley Hutchings, Judy Dyble and Dave Swarbrick – to mention but a few – are the names of folk rock legend, avatars for the scene that sprang up around Fairport in the late 1960s and 1970s. There are classic periods - anytime from 1967 to 1975 will send Convention fans into raptures – equally classic line-ups, disasters, tragedies, fractious departures, glorious returns, successes and experiments that didn't always translate – but added together their history is the stuff of something noble, artistically accomplished, a sound built on integrity and forged in the live arena where band and audience become one. In the beginning was the word, and all that, and Fairport Convention can trace their origins to friends Ashley Hutchings and Simon Nicol who rehearsed together in a house called 'Fairport' in Muswell Hill, where Nicol's father was a local MD. Adding a young tyro, the aforementioned Richard Thompson on guitar, they would soon add their first female singer, Judy Dyble, a choice that lent them a different slant to others on the London circuit. In fact they were soon nicknamed 'The English Jefferson Airplane' by the London rock press and wowed crowds at venues like UFO, The Electric Garden (later Middle Earth) and the Roundhouse. Their debut album, Fairport Convention, released in early 1968 with Joe Boyd at the controls, included class versions of Joni Mitchell's 'Chelsea Morning' and Bob Dylan's 'Jack O'Diamonds' (itself a folk standard) as well as some in-house originals and a sprinkling of electric blues. Sonically it was both intriguing and well executed; the band learnt fast and was comprised of inherently savvy and prodigiously talented musicians. These kids were damn good. If that was a starling debut for those in the know, then the follow-up, What We Did on Our Holidays, caused a sensation in the underground media. Dyble's departure, sad enough, had paved the way for the entrance of one Sandy Denny, who Nicol said was the only viable candidate - in that she stood out like a clean glass in a sink full of dirty dishes. This time the combination of covers and originals was nigh on perfect. Denny's own tune 'Fotheringay'was a marvellous overture and with everyone contributing words and music of the highest calibre it was even possible to see that tackling another couple of items from Dylan and Mitchell wasn't strictly necessary anymore. Not when Thompson's 'Meet on the Ledge', or the band's immaculate version of 'She Moves Through the Fair' were standing up to be counted. Hippies were transfixed. Folkies stood up and got the new picture. Two months before Unhalfbricking was released the Fairport's suffered disaster when drummer Martin Lamble and Thompson's then girlfriend Jeannie Franklyn were killed in a car crash as the band returned from a gig in Birmingham. That watershed moment caused a purge in their overall approach although the posthumous for some album was a triumph. Including Denny's lilting take on Bob Dylan's 'If You Gotta Go' – re-tooled as 'Si Tu Dois Partir' – her own meta-classic 'Who Knows Where The Times Goes', and Thompson's 'Genesis Hall', this was a five star affair which shook Britain and the American media and convinced many that here was a band capable of standing head to head with say, well, The Band themselves. Liege & Lief (1969) sees that roll pushed faster by Denny's suggestion that they concentrate on Celtic folk, English pastoral and Scottish high jinx - but nevertheless paint their own colours across the canvas. Another unparalleled success Liege & Lief also saw new members, thanks to Dave Swarbrick's fiddle and viola skills allied to new drummer Dave Mattock's muscular clout. As with all the albums from this period a wealth of extra material is included for modern listeners. Here you will delight in discovering various BBC sessions. Plus: studio outtakes like 'Sir Patrick Spens', The Byrds' 'The Ballad of Easy Rider' and the famous 'Medley', including 'The Lark in the Morning' and 'Toss the Feathers', which could reduce audiences to quivering jelly way back in the day and may continue to do so. Folk in excelsis. The seventies dawned for Fairport with Full House where Thompson and Swarbrick take the reins. Denny had decided to change tack and so she's gone off to form Fotheringay, while Ashley Hutchings went off to form Steeleye Span. In came Pegg and out soon too would go Thompson himself, though he left behind another country meets folk rock classic. Such was the band's draw however that 1971's Angel Delight (named after a pub in Hertfordshire where they were living and imbibing) was actually their highest chart entry to date. Produced by John Wood, it evoked all the traditional pleasantry of an English rustic idyll filtered through the sharp attack of a dynamic rhythm section and Swarbrick's ever more prominent violin. 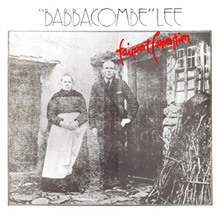 The conceptual Babbacombe Lee (named after a Victorian murderer who escaped his demise when the gallows failed to open on three occasions) is a narrative album, which could be termed the first folk rock opera. Again the reissue is jam packed with extras including 'Cell Song' and 'Wake Up John (Hanging Song)'. An audacious experiment at any time, in 1971 it was quite revolutionary, although in recent years the rediscovery of the murder ballad by the likes of Nick Cave et al lends Babbacombe Lee modern currency. Got to hear this. It really is a classic. Rosie (1973) sees the arrival of new key members, Australian producer, singer-songwriter and guitarist Trevor Lucas, and the American lead guitarist Jerry Donahue, two men who were fresh from working with Sandy Denny on her solo projects. Indeed Denny and Lucas were now married. Mattacks contributes some exemplary playing before quitting for the Albion band, but Gerry Conway made an able deputy and would later become a full-time member. Pausing for breath on Nine, available in re-mastered form with live club tracks from The Howff, the band return to form on 1974's Fairport Live Convention, an album which saw the return of Joe Boyd in an executive role as the band were captured in terrific form at the Sydney Opera House, the London Rainbow and the Fairfield Halls, Croydon. Given the chance to play catch up they examined their recent past, still only barely six years of history, and revisited songs like 'Matty Groves', 'John the Gun'and Dylan's 'Down in the Flood', while chucking in a cheeky take on Chris Kenner's New Orleans gem 'Something You Got'. For long time fans this was like the good old days. Sandy Denny had returned and given her chemistry with Lucas it's possible to view this as a strange equivalent to Fleetwood Mac just before they made Rumours. Sandy Denny stayed for the Glyn Johns produced Rising for the Moon, which was affectionately dubbed as the band's Fotheringay Convention. Truth to tell, the never-ending line-up changes were a comedy. But laughing aside, folk-rock with a buffed pop sheen emerged; almost by default, here was an album that ushered the Fairport's towards the new sophisticated studio sounds of the era. Traditional pieces, much loved by the older guard, were replaced by strong, confident writing that indicated all concerned were in the mood for progression. Denny's title track and 'Stranger to Himself'were far more redolent of her own solo career and yet Swarbrick, Mattacks and Pegg couldn't quite let go off the hem and so they added a glorious mixture of shuffle, mandolin and dulcimer to the mix. Facing out the 1970s with a new abrasive nature the album Gottle o'Geer started out life as a possible solo work for Dave Swarbrick but didn't end up that way. Here you'll find some new faces as Martin Carthy, Robert Palmer, Benny Gallagher and Graham Lyle all lend a hand while Simon Nicol return to piece the jigsaw together. Tipplers Tales includes the band's own take on John Barleycorn (hitherto the province of Steve Winwood's Traffic) and also finds our heroes becoming a solid part of the English musical scene – beyond category, capable of pure folk, R&B and rock, and virtually a national institution. Did they ever believe that would happen? Probably not. For those who hanker after something live and tasty we can go backward and forward. Dip and delve. Live at the L.A. Troubadour was a remarkable find since it dates back to Thompson-era Fairport and was recorded on the Full House tour and can be filed next to the counterpart disc House Full: Live at the L.A. Troubadour, thus giving one the full flavour of the Convention in flight in 1970. Each is a marvellous thing to behold in remastered form. Expanding on that experience it's well worth checking out In Real Time: Live'87, and essential to investigate Live at the BBC, an apparently modest proposal which includes tracks recorded for various BBC shows between 1968 and 1974. It's an amazing document. This four CD package comes with a detailed booklet, fabulous rare photographs, lyrics and a mind-boggling assortment of songs. Favourites from Dylan, Eric Anderson, Chet Powers, Emitt Rhodes – even a version of The Doors' 'Light My Fire' – sit neatly beside what is virtually a very best of the band in their various incarnations. T's like an introduction to the infinite. For further delectation 25th Anniversary Pack is a superb primer of all things good while Meet on the Ledge (The Classic Years 1967-1975) rivals the earlier Chronicles and includes such rare nuggets as 'Bonny Bunch of Roses' and 'Poor Will and the Jolly Hangman' to whet the appetite for long time fans while fulfilling the brief of introducing newcomers and those with interest piqued as they enter the Fairport fray and find out what all the fuss was about. Both are entertaining beyond measure and will surely send even the most hardened fanatic scurrying back to all the original discs. Given the length of their career(s), the magnitude of their achievements and the sheer heft of music that poured from within it's pretty impossible to characterise Fairport Convention in any one bag. It wouldn't be fair to them or the listener. In fact you could chuck them into any number of clichéd hold-alls and still be wrong on most counts when it came time to collect. Lifetime achievements abound, and some of those illustrate the legacy. Radio 2's award in 2002 for just that was one such mark. Then again The Folk Awards on that station called Who Knows Where the Times Goes - the greatest folk track of all time - and said that Liege & Lief was the most influential album of all time. All these things are true and fine but there is so much else. 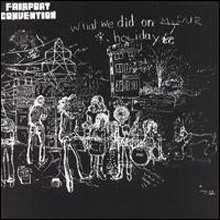 It's perhaps safest to say that Fairport Convention hasn't just influenced English folk rock, even if in all its glory they have enhanced it beyond belief. What this stand out band has done is influence music. Full stop. They are Fairport Convention. In the decades since its original release, more than one writer has declared Fairport Convention's Liege &amp; Lief the definitive British folk-rock album, a distinction it holds at least in part because it grants equal importance to all three parts of that formula. While Fairport had begun dipping their toes into British traditional folk with their stellar version of "A Sailor's Life" on Unhalfbricking, Liege &amp; Lief found them diving head first into the possibilities of England's musical past, with Ashley Hutchings digging through the archives at the Cecil Sharp House in search of musical treasure, and the musicians (in particular vocalist Sandy Denny) eagerly embracing the dark mysteries of this music. (Only two of the album's eight songs were group originals, though "Crazy Man Michael" and "Come All Ye" hardly stand out from their antique counterparts.) Liege &amp; Lief was also recorded after a tour bus crash claimed the lives of original Fairport drummer Martin Lamble and Richard Thompson's girlfriend; as the members of the group worked to shake off the tragedy (and break in new drummer Dave Mattacks and full-time fiddler Dave Swarbrick), they became a stronger and more adventurous unit, less interested in the neo-Jefferson Airplane direction of their earlier work and firmly committed to fusing time-worn folk with electric instruments while honoring both. 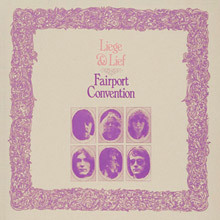 And while Liege &amp; Lief was the most purely folk-oriented Fairport Convention album to date, it also rocked hard in a thoroughly original and uncompromising way; the "Lark in the Morning" medley swings unrelentingly, the group's crashing dynamics wring every last ounce of drama from "Tam Lin" and "Matty Groves," and Thompson and Swarbrick's soloing is dazzling throughout. Liege &amp; Lief introduced a large new audience to the beauty of British folk, but Fairport Convention's interpretations spoke of the present as much as the past, and the result was timeless music in the best sense of the term. Unhalfbricking was, if only in retrospect, a transitional album for the young Fairport Convention, in which the group shed its closest ties to its American folk-rock influences and started to edge toward a more traditional British folk-slanted sound. That shift wouldn't be definitive until their next album, Liege &amp; Lief. But the strongest link to the American folk-rock harmony approach left with the departure of Ian Matthews, who left shortly after the sessions for Unhalfbricking began. The mixture of obscure American folk-rock songs, original material, and traditional interpretations that had fallen into place with What We Did on Our Holidays earlier in the year was actually still intact, if not as balanced. Sandy Denny's two compositions, her famous "Who Knows Where the Time Goes?" and the far less celebrated but magnetically brooding "Autopsy," were among the record's highlights. So too were the goofball French Cajun cover of Bob Dylan's "If You Gotta Go, Go Now" (here retitled "Si Tu Dois Partir," and a British hit) and the magnificent reading of Dylan's "Percy's Song," though the bash through Dylan's "Million Dollar Bash" was less effective. Richard Thompson's pair of songs, however, were less memorable. The clear signpost to the future was their 11-minute take on the traditional song "A Sailor's Life," with guest fiddle by Dave Swarbrick, soon to join Fairport himself and make his own strong contribution toward reshaping the band's sound. 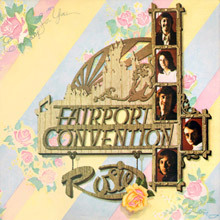 By far the most rock-oriented of Fairport Convention's early albums, this debut was recorded before Sandy Denny joined the band (Judy Dyble handles the female vocals). Unjustly overlooked by listeners who consider the band's pre-Denny output insignificant, this is a fine folk-rock effort that takes far more inspiration from West Coast '60s sounds than traditional British folk. Fairport's chief strengths at this early juncture were the group's interpretations, particularly in the harmony vocals, of obscure tunes by American songwriters such as Joni Mitchell, Bob Dylan, Emitt Rhodes, and Jim &amp; Jean. Their own songs weren't quite up to that high standard, but were better than many have given them credit for, with "Decameron" and "Sun Shade" in particular hitting wonderfully fetching melancholic moods. 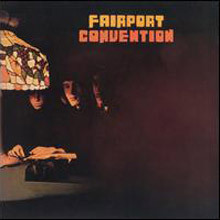 It's true that Fairport would devise a more original style after Denny joined, but the bandmembers' first-class abilities as more American pop-folk-rock-styled musicians on this album shouldn't be undersold. Is a four-CD box set of Fairport Convention 1967-1974 BBC recordings excessive? After all, even the Beatles only got two CDs of Beeb tracks into official release. But it really isn't too much for fans of the band, for the quality of most of the stuff here is truly good, even if the very best of it was already issued on the Heyday compilation. There's a lot more here, however. While the expanded Heyday CD contains 20 tracks from 1968-1969, this offers a relatively whopping 69, and where Heyday focused exclusively on late-'60s sessions done while Sandy Denny was in the lineup (which was admittedly their peak era), this has a few recordings predating Denny's entrance into Fairport, as well as quite a few post-dating her departure (and a few from when she briefly rejoined the group in the mid-'70s). Most important of all, this has quite a few songs, particularly folk-rock cover versions from the late '60s, that didn't make it onto official Fairport Convention releases of the time. Certainly the first two discs of the set are the strongest, as all but three of the tracks date from the 1968-1969 Denny era. If you're already heard Heyday, you know how good some of these gems are, like their superb interpretation of Leonard Cohen's "Suzanne," and their fine reworkings of songs by Richard Fariña ("Reno, Nevada"), the Everly Brothers, Gene Clark ("Tried So Hard"), Eric Andersen ("Close the Door Lightly When You Go"), Bob Dylan ("Percy's Song"), Johnny Cash ("I Still Miss Someone"), and Joni Mitchell ("I Don't Know Where I Stand"), as well as quality originals like "Autopsy" and "Shattering Live Experience." This set includes a few other goodies, however, some of which were previously on bootlegs and benefit from much-improved sound here (Joni Mitchell's "Eastern Rain," "Marcie," and "Night in the City"), and one of which ("Jack of Diamonds," an obscure Bob Dylan lyric set to music by Ben Carruthers from their first LP) had never even previously shown up on those old bootlegs. It's true the blues songs "You're Gonna Need My Help" and "If It Feels Good You Know It Can't Be Wrong" are kind of lame, but at least they preserve one aspect of the early band's repertoire. 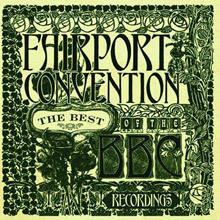 It's also true that disc three (all taken from 1970-1974 sessions) pales a little in comparison to the first pair of CDs, but these do document Fairport's transition to a much more English traditional folk-oriented group, with Denny re-entering on the four songs from 1974. The fidelity on disc four (subtitled "Off Air") is indeed taken from off-air recordings rather than original tapes, and has noticeably poorer fidelity, though it's actually not that bad. Even these performances, however (some of which found prior release on the Fairport Unconventional box set, as had a few other stray tracks from the first three discs), are quite enjoyable, with eight songs done in 1967-1968 when Judy Dyble was still in the lineup. Some of these songs, too, Eric Andersen's "Violets of Dawn," Bob Dylan's "Lay Down Your Weary Tune" -- never found release on their official albums, and there are other highlights (or at least intriguing oddities) like their December 1968 send-up of "Light My Fire" and a 1970 version of "Tam Lin" with male lead vocals (though Denny had taken the lead on the familiar studio recording). In all, this is essential for Fairport fans, and is not solely or primarily of historical interest, making for quite fine listening on its own terms. 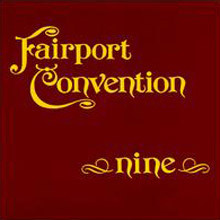 Nine is the ninth album by the British folk rock group Fairport Convention and, according to Allmusic, is their most uneven. It is their second album to feature Trevor Lucas and Jerry Donahue, and features no original members of Fairport Convention. Polly on the Shore was re-recorded by the 21st century lineup of Fairport Convention (featuring only Dave Pegg from the Nine-era lineup) for their album Sense of Occasion in 2007, with Simon Nicol on lead vocals. The same lineup later re-recorded The Hexhamshire Lass in a new arrangement for 2012's By Popular Request. This version featured Chris Leslie on lead vocals. Fairport Convention is a group that has always beaten the odds - that's why a version of the band is working in the 21st century. By the time of this, the group's fifth album, key members Ashley Hutchings and Sandy Denny had exited the lineup, yet the group continued here without skipping a beat, for the first time without a female singer - and it turned out not to make a major difference. Richard Thompson andDave Swarbrick took over as singers, and Dave Pegg (more recently of Jethro Tull) joined on bass, and the resulting album was actually more viscerally exciting than its predecessor, Liege and Lief, if not quite as important as that record, since it came first. Even vocally, this version of the group needed offer no apologies. Thompson, Swarbrick, Pegg, and Simon Nicol harmonize beautifully around strong lead vocals. Not only does the singing here retain the high standard of the earlier incarnation of the group (check out the harmony singing on "Sir Patrick Spens" and "Flowers of the Forest"), but the playing throughout has greater urgency and punch, from the rousing Thompson-Swarbrick opener "Walk Awhile" to the haunting, moody, dazzling nine-minute "Sloth," which remained part of the group's live set for years. An indispensable recording, and one that anybody who wants to truly know this band, or to take in some of the best work of Richard Thompson's career, must own (his playing on "Sloth" and "Doctor of Physick" makes it worthwhile). Swarbrick's fiddle and viola playing is also among the best of his career. Ironically,Thompson would make this his last full-time studio venture with Fairport, but what a way to go! 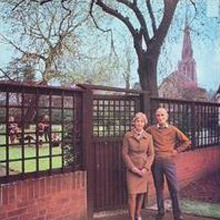 There are lots of original songs done in a modern folk-rock sound, many written by Lucas, although the best was the title track by Swarbrick (which featured Denny and Thompson as well as Thompson's future wife Linda Peters, as guest artists). The Lucas compositions were all pleasant (especially "Knights of the Road" and the haunting "The Plainsman"), but tend to make one think more of Gordon Lightfoot sounding archaic than of previous incarnations of Fairport. The only exceptions are "Peggy's Pub" and "The Hens March Through the Midden," instrumentals that recall the group's old sound. The group's only concept album (similar in some ways to the Pretty Things' S.F. Sorrow), built around the life story of John "Babbacombe" Lee, a Victorian-era condemned murderer. Lee's story, from his boyhood poverty to his time in the Royal Navy, his being invalided out and forced to work in the service of Miss Keyes, to her murder and his sentence of death, and the failure of the gallows three times, is told in song, and all but one of those songs are originals. 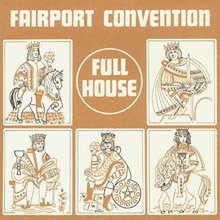 The all-male Fairport seldom sang better, nor did the post-Thompson band ever play with more panache, and some of the songs are beautiful -- but a few are lugubrious, and as with most other concept albums, the fit between the songs and the larger subject ultimately isn't entirely comfortable for the listener. All of the material was confusing because the group, for some reason, never put titles on the individual songs, instead stringing them together in longer sections. The critics loved it, but the listeners stayed away in droves for the first time since the band's debut album.